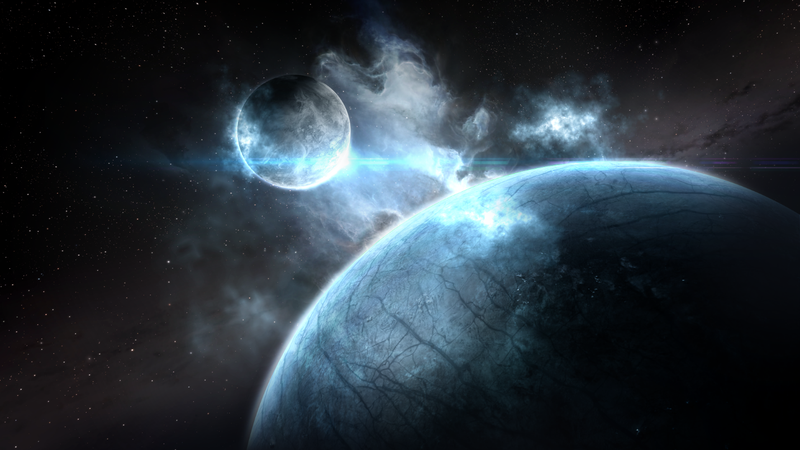 This summer, EVE Online players won’t just be exploring virtual galaxies—they’ll be helping to map out the actual universe. At Fanfest, the annual gathering of players of the popular MMO taking place this weekend in Iceland, the game’s publisher CCP provided the details of its latest collaboration with Reykjavik University and the University of Geneva, called Project Discovery. EVE players will look at images captured by the Kepler space telescope and look for anomalies that could indicate the presence of an exoplanet—a planet orbiting a star outside our solar system. In reward for this tedious work, CCP will give the players in-game currency and other digital rewards. Players will be fed images of the measurements of the relative luminosity given off different stars that have been captured by the telescope array. From these massive data sets, players can look for anomalies depicted in the images—places where the light from the star is interrupted or blocked by some stellar object that could be a planet. Once the player finds an anomaly in their given slide they will mark it, and submit it with a small description of what they think they saw. From there the data will go into a database awaiting the results of other players viewing the same slide. Once the data gathered on a single image reaches a critical mass, it will be submitted back to the University of Geneva, where anomalies consistent over a large sample of players will be further scrutinized. Students and Faculty at the university will be freed from the task of trying to sift through these data sets themselves, and instead be able to focus specifically on data that has already been flagged by players. This will allow them to put their efforts towards confirming the anomaly is actually an exoplanet, and begin the process of identifying what exactly its makeup is. This is CCP’s second stab at Project Discovery; last year’s version focused on classifying human cells to identify proteins. Players combed through a database of over 250,000 images, and provided over 25 million classifications.